POINCIANA — Another homeowners association election has passed and more litigation has been filed by a Poinciana homeowner. 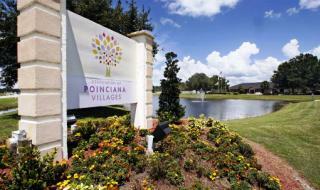 Victor Destremps, who was recently selected to represent Village Five on the Association of Poinciana Villages master board, has filed an election complaint with the Department of Business and Professional Regulation against APV. The extent of Destremps’ complaint is four-fold regarding the Feb. 14 HOA election. An injunction against Destremps was filed by APV in 2015 after he and Peter Jolly went into an HOA office after hours and removed $1.6 million and placed it into accounts only they could access. APV filed a lawsuit and successfully recovered most of the money in June 2016. Martin Negron, who like Destremps is a member of the civic group Friends of Poinciana Villages, won an arbitration case in June against APV. The arbitrator in that case, Terri Leigh Jones, said APV was capricious in the way it counted votes and voided the results, forcing APV to hold a replacement election on Aug. 1. APV is one of the largest homeowners associations in the country with about 27,000 homes spanning Polk and Osceola counties. The community is divided into nine villages, each governed by a five-member board. One member from each village board is selected to represent the village on the APV master board. Keith Laytham, a spokesman for Friends of Poinciana Villages, said elections for Villages Two and Eight should not have been voided over the absence of a quorum. APV contends that 10 percent of the voting interests must be in attendance. Laytham argues that documentation says that the election can either be rescheduled or ongoing until a quorum is reached. Part of Destremps’ complaint insists he was never notified that his candidacy was valid. Laytham said the procedures require candidates be notified in writing that their candidacy has been confirmed. “Without notification that you’re a candidate, you can’t run a campaign,” Laytham said. For undeveloped lands, the developer, AV Homes, or the corporation owning the lots are given votes based on the number of homes that could be built on the properties. Laytham said that for corporate representatives like AV Homes executives or Felix Gratopp, director of Canadian investment company Fairhomes, there was a December deadline required to show notarized documentation that they represent the property. Laytham said the documents show a Feb. 13 date. The election was held the following day. The final item of complaint spelled out by Destremps insists that AV Homes is not following procedures outlined by the circuit court. Destremps’ complaint said that AV Homes is claiming areas like floodplains as developable although they never could be based on county land development regulations. The arbitration case is still pending. APV declined to comment on the matter.